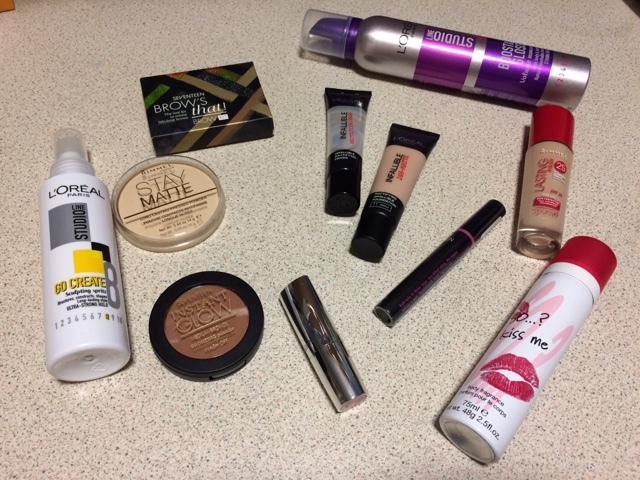 So, yesterday I went a bit mad at Boots and bought a few beauty items - even though I was only after a foundation! I grabbed myself a basket and started shoving everything I liked in it. I did save a lot of money as most the items I purchased were on offer. 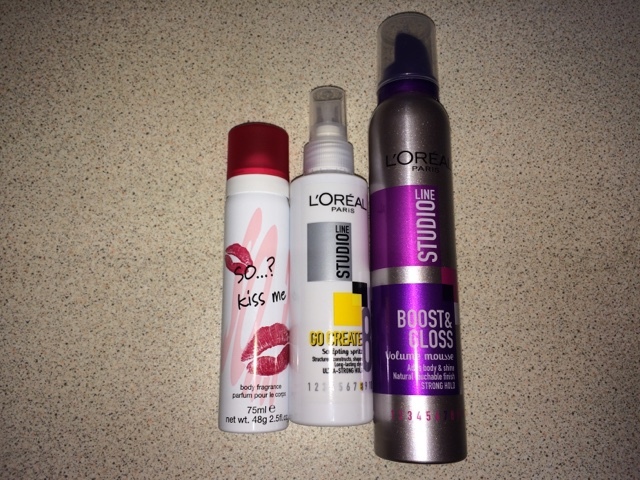 So as yo can see, I bought L'oreal's Line Studio Hair products, foundation and primer. 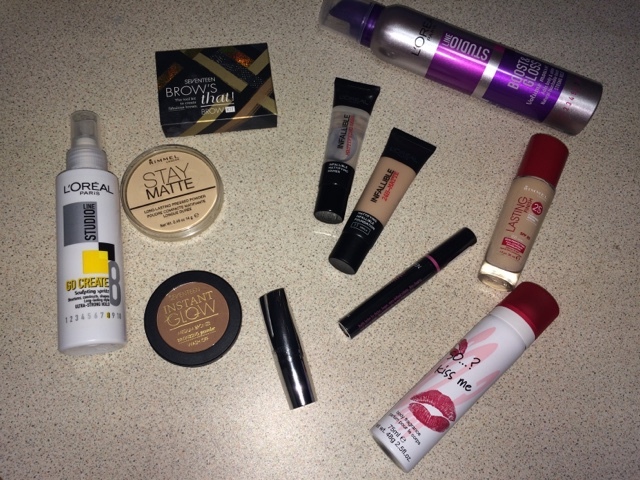 Then from Rimmel I got a foundation and powder, and from Seventeen (One of my all time favourite high street brands) I got a brow kit, bronzer, mascara and lipstick. First up, we've got the Seventeen products. So, I've never used these but have heard great things about those products. The Brow's That kit was on my wishlist for quite a while now, especially as I've seen how amazing it looks on my mum as she has one. 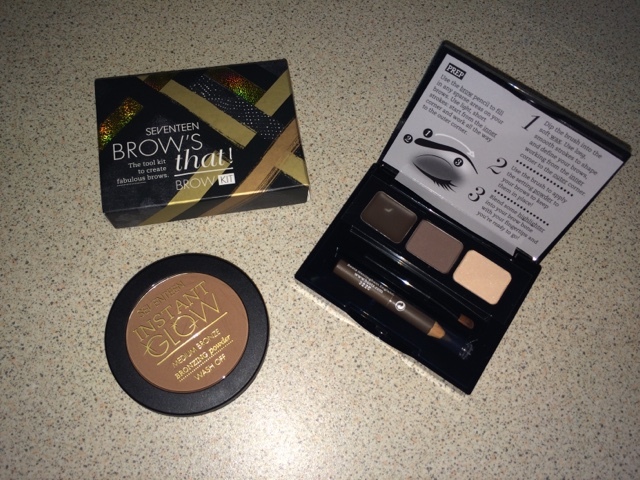 I really enjoyed using it and it's a fantastic dupe for Benefit's BrowZings but comes with a brow pencil and a highlighter for the brow bone instead of the tweezers. a small brow brush is also included, however I prefer to use an angled brush for my brows. The Instant Glow Bronzing Powder in Medium caught my eye as I was looking at powders in the 17 section. 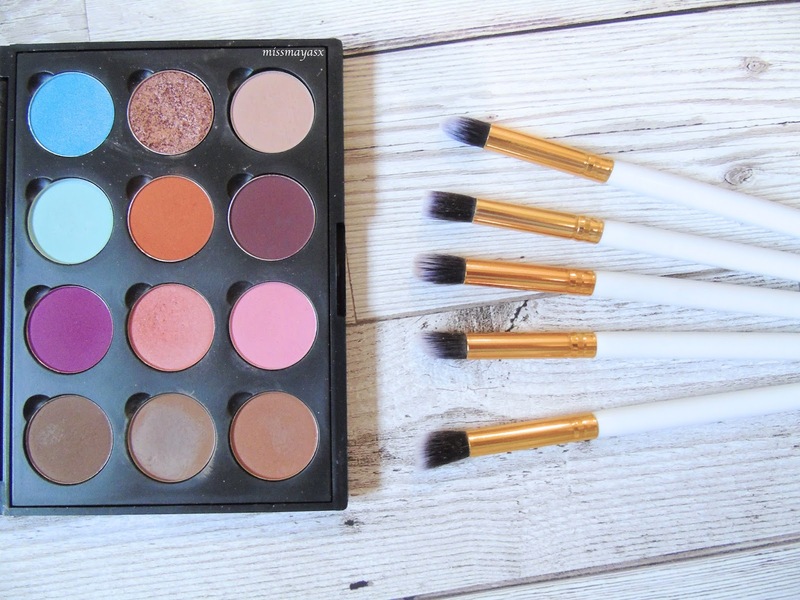 It is very pigmented and looks natural at the same time. It's matte so it gave me a nice subtle and natural looking contour. I will definitely repurchased this product when (or shall I say IF) I run out of it, as it's very pigmented and you don't need a lot of the product for the desired look. 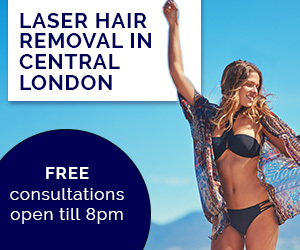 I would say it's very good for beginners as is a much cheaper option than opting for Benefit's Hoola. The Supreme Shine Lipstick in shade Bon Bon is a great dupe for Ellie Goulding's MAC lipstick in shade 'Only You'. 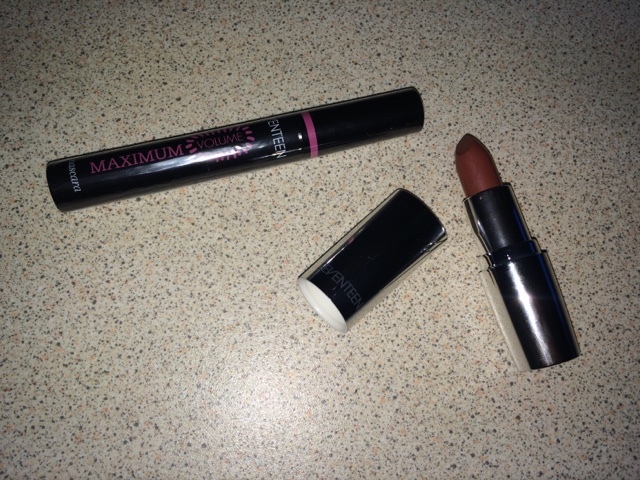 The finish is lustre but is quite pigmented and looks natural - my new go to lipstick for a natural look! Right, moving onto the mascara - I didn't realise that I picked out the colour Brown/Black therefore I can't say much about it as I will be exchanging it for a black one, but I really like the slim packaging of it! 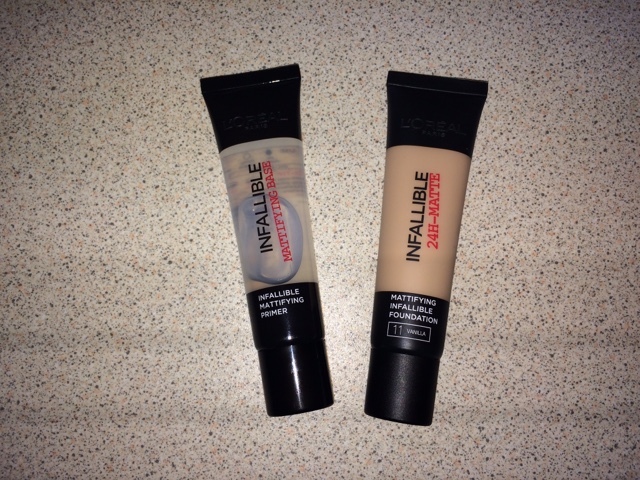 I've wanted to try L'oreal's Infallible products for quite a while now and was stuck between the matte and satin finish foundations. As you can see, I decided to go for the Matte finish as it provides full coverage - and I have enough light to medium coverage foundations so thought I'll try this one out. I really like the primer, it has a gel textures and glides on beautifully onto my skin, filling out all the pores and imperfections. The foundation is also a very good buy, YAY! It does not look drying when it comes out the tube and is very easy to apply. It does not dry as soon as in contact with skin which makes it really easy to blend. I would say I prefer this foundation to MAC's Studio Fix, but I need to wear it for a few days before making my mind up completely. 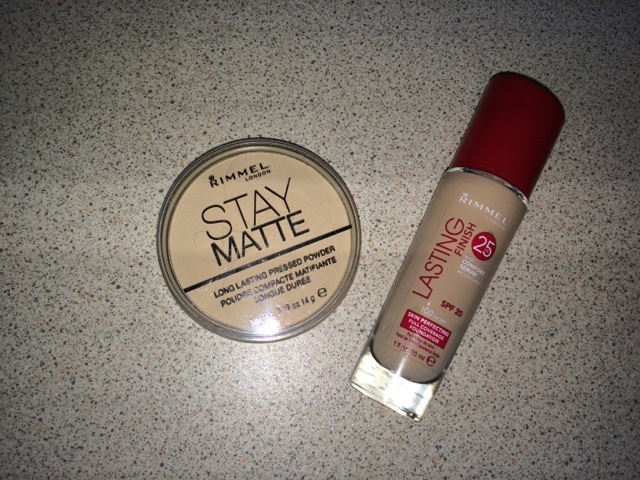 If there is anyone who hasn't yet tried Rimmel's Stay Matte powder then you really need to reconsider whether you really are into make-up or not. It is my holy grail and for only £3.99 I don't see why you wouldn't have it in your make-up bag already. I always choose the shade 'transparent' to set my foundation. It does not dry out my skin and makes it look natural as well as mattified. I've not tried the foundation yet, but I've heard many good things about it. I am slightly concerned about the shade though as it has a yellow undertone and looks like it would suit someone with olive skin, rather than pale me. However, it is the lightest shade from the collection and I am willing to try it even if I have to apply fake tan beforehand. Last but not least, a few non-beauty products. I don't know about you, but I always have a body spray in my handbag to use throughout the day - it's a necessity if you're always busy and on the go. This one was actually reduced to 43 pence I think, total bargain! I do like L'oreal's hair products and I've used the hair mousse before and loved it, therefore repurchased it for the first time. On the other hand, the Sculpting Spritz is a new addition to my hair products and I am hoping it will keep my hair in place! I do love a sleek ponytail or hair swept back and straight. I will do a full review of it once I start using it. Have you used any of those products? If so, did you like them? What other high street products do you recommend?